While the capabilities of a modern ACD (Automatic Call Distributor) are truly impressive and certainly represent a significant advancement over earlier switching systems, ACD technology has by no means reached its zenith. In the ongoing effort to continually enhance routing capabilities, some platform vendors are now integrating computer telephony links that allow ACD routing decisions to be seamlessly directed by an intelligent application residing on a network file server. The result is an entirely new level of service for existing and active customers that allows call centers to optimize customer service by handling each customer according to their individual needs. This adjunct CTI routing application does not replace the routing capabilities inherent to the ACD, but rather raises them to a new level by adding an unprecedented degree of intelligence to the routing process. With the CTI link, the ACD still captures calling information (ANI: automatic number identification; DNIS: dialed number identification service; II: information indicator digits; account numbers entered by callers; and the like). However, before routing calls on the basis of this information, the ACD first passes it to the CTI application where it is evaluated against a database of existing customers. If a match is found, then the CTI application directs the ACD to route the call according to prespecified rules; if no match is found, then routing control reverts, automatically, to the ACD. If the CTI application identifies a caller as a preferred customer, it can direct the ACD to route that caller to the same agent who always handles their inquiries. In other words, what the CTI enhancement provides � for the first time in ACD history � is the ability to route callers to specific agents on the basis of information associated with that caller�s history of interactions with the call center. In a help desk scenario, for instance, this ability would eliminate the need for the caller to repeat their complaint history to a new agent, each time a related problem arises and they need assistance. Similarly, companies may use advanced ACD/CTI routing applications to provide the highest possible level of service for their best customers. For example, if an agent is assigned to a specific national account, and that individual is not available when the customer calls, the call could be automatically routed, transparently, instantly, and unbeknownst to the caller, to another member of the national account team. If no individuals on this team are available, the caller may be given the option of leaving a voice mail for the account manager, or of speaking with someone else in another team. In all of these scenarios, the application is performing a task that was never automated before: routing callers to specific agents with the specific skill set and customer interaction history required to optimize service for the caller. Interestingly, exciting as this concept of adjunct routing may be, it will not stop with these first applications. In fact, the basic database and rules-based approach to adjunct routing is already being extended with new, even more advanced routing applications that not only can route callers to specific agents, but that are contextsensitive as well. What these new �killer applications� do is leverage the capabilities of both the ACD and the file server to allow calls to be routed variably as a function of circumstance. For example, in a conventional scenario, a nonprofitable customer may be routed to the end of a calling queue and only be serviced as a low priority call. But if that individual has called repeatedly over the course of several days, this may imply the need for more attentive service by a more skilled agent. Advanced adjunct routing applications can detect these changing call patterns and route calls appropriately. This type of dynamic, eventbased routing would be beneficial in a wide range of other scenarios as well. Take the case, for instance, of a caller who has just placed an order, and then calls again within a short interval. Rather than routing this call in the conventional way to any agent, the routing application could recognize that the recall is probably related to the first interaction send the caller, as a priority call, to the original agent. Similarly, customers who dial a call center in response to messages they have received as a result of outbound telemarketing campaigns can also be given priority handling with eventbased routing applications. In short, the ACD has evolved from a simple system that sent inbound calls to agents who were not busy � and subsequently who were segmented into large �ACD splits� � into a highly intelligent call routing platform. 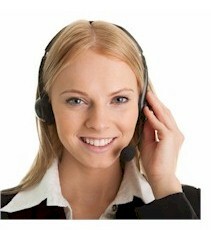 These platforms can, depending on the specific solution implemented, offer the ability to route callers on the basis of a wide range of parameters including DNIS digits, ANI, information indicator digits (II time in a calling queue, agent skills, and even specific skill levels for each skill set. This new generation of ACD/CTI technology picks up where earlier systems leave off, offering unprecedented control over how calls are routed. By increasing the number of parameters that can be used to route calls, these call center solutions add intelligence to the routing process and extend and support a new level of routing granularity. Together, adjunct routing and the new applications supported by this technology, bind the PBX to the network in a way that allows call centers to meet their performance goals as well as their requirements to provide the highest possible service levels to inbound callers. Bill Riley is director of computertelephony integration products at Lucent Technologies. Lucent designs, builds, and delivers a wide range of public and private networks, communications systems and software, consumer and business telephone systems, and microelectronic components. Bell Labs is the company�s research and development arm. For more information on Lucent�s products and services, visit the company�s Web site at www.lucent.com.